When clients call us, we respond within an hour. You don’t find us writing long memos or detailed opinion letters. You pick up the phone, and we give you an answer. Period. Our advice is strategic and practical. The phrase it depends is not in our vocabulary. We focus on problem-solving. 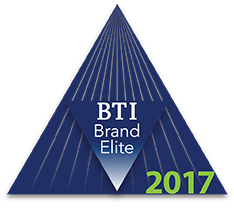 Our goal is to help our clients create great places to work and minimize HR disputes. Steve is a founding partner and co-managing partner of Hirschfeld Kraemer LLP, based in San Francisco. He is also the founder and Chief Executive Officer of the Employment Law Alliance, the world’s largest provider of employment law solutions. “I have specialized in employment law for my entire career,” Steve says. “It’s an area I was interested in even before law school: dealing with the human dynamic and how it impacts the workplace has always been a point of great fascination for me. I particularly love working with employers who share those values and management practices commonly associated with German-based “Mittelstand” companies: Razor-thin focus, emotional attachment between management and its workforce, innovativeness, obsession with customer service, nimble and flexible management style, and importance placed on social responsibility. What I like most about my work is to help my clients create the best possible places to work and solve their organizational problems when they arise. HR issues are often quirky and sometimes intense which means when my clients call, they are often feeling great stress. My objective is to provide sage wisdom, sound advice and practical solutions delivered with a smile. I find that a little levity goes a long way. Steve’s practice involves labor, employment and higher education law on behalf of management in both the private and public sectors. He advises clients throughout the country on day-to-day legal issues affecting the workplace, including employee discipline and terminations, union organizing, workforce reductions, discrimination claims, proprietary information and trade secrets disputes, substance abuse, workplace privacy, disability accommodations, employment contracts, faculty tenure, and other human resources issues. He has also overseen and conducted hundreds of internal investigations involving allegations of employee, student, and faculty misconduct. Steve regularly defends employers in state and federal courts and administrative agencies on disputes involving discrimination, harassment, wrongful termination, trade secrets/unfair competition, and wage and hour law. 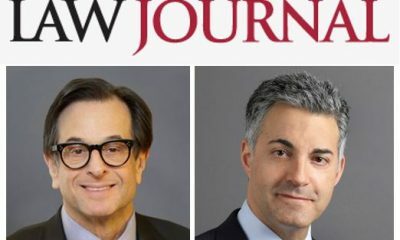 He has tried to verdict over 100 cases before courts, arbitrators, administrative law judges, and government agencies with a win rate of over 90%. He successfully argued a seminal wage and hour issue before the California Supreme Court. Steve has vast experience working with unionized businesses on matters including collective bargaining, union contract disputes, and labor arbitrations. Steve has experience working with boards of directors to improve their effectiveness and communications. His clients range from Fortune 500 companies to small, privately-owned businesses. He loves to travel, and he regularly assists multinational clients by conducting worldwide employment law audits to ensure they are in full compliance with all applicable employment and labor laws. Steve represents over 100 colleges and universities throughout the United States. His love of learning and great respect for the academy has driven his decision to develop special expertise in higher education law. He takes a proactive approach when advising clients, emphasizing creative solutions to employee-relations problems. Steve routinely counsels management about ways to prevent costly and protracted litigation. He teaches clients’ executives, managers, and supervisors how to make sound human resource decisions, while at the same time minimizing wrongful termination, discrimination, and sexual harassment claims. In addition to work-related travel, Steve enjoys “adventure travel” — going off the beaten track and encountering interesting people and exploring fascinating places. He is passionate about food and wine (he reports that while his self-made cabernet isn’t yet on the French Laundry’s wine list, it is nevertheless “darn tasty vino”). A major train buff, he has ridden on the Orient Express, the Trans-Siberian and Trans-Canadian Railways, and is looking forward to upcoming train trips on the Persian Odyssey and the Ghan. 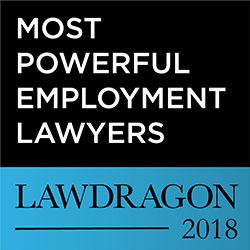 Named by HR Executive/Lawdragon as one of America’s 100 most powerful employment lawyers for the last nine consecutive years. Listed by AsiaLaw as one of America’s leading Asia-Pacific focused employment lawyers. Winner of the National Association of College and University Attorneys’ Distinguished Service Award, that organization’s highest award, which was established to recognize individuals who have given extraordinary service to higher education. Webinar: The Biggest Signs Union Activity is Afoot: What Should You Do About It? Steve Hirschfeld Authors “Global Employee Handbooks Must Balance Compliance with Culture” for WorldLink Magazine. Can Employers Demand to See Employees’ and Applicants’ Facebook Pages? Workplace Bullying: The Next legal Frontier? Office Romance: Are the rules changing?